Read more by clicking here or on the title. When figs are in season, make this simple recipe for fresh fig preserves, and enjoy sweet figs all year long! Gram's fig preserves are great spread on a piece of buttered toast, spooned over pound cake or even baked into her special fig spice cake. This is a hard post to write without getting maudlin but I will try. As my handful of Twitter followers and Facebook friends know, we spent last weekend in New Iberia, Louisiana with my aged grandmother. She is 98 1/2 years old which means (thanks to my friend, Jacky’s Gran, who started counting the year she was in at 93, rather than birthdays) she is in her 99th year. Pretty impressive, I think! My father and aunt have organized a lovely nurse/caretaker to come in Monday through Friday to care for her while my uncle, who lives with her, is off at work. On the evenings and weekends, he is in charge and is doing a good job. As we said to him, upon questions about the medications, he hasn’t killed her yet, so we figure he knows what he is doing. (Why he didn’t throw us out, I do not know.) Goodness knows, she has two different sets of pills, morning and evening, and if he can keep those straight, more power to him! We are grateful! We arrived around 3:45 in the afternoon on Friday and her lovely nurse/caretaker, Tina, was still there to greet us. Bless her, then she stayed late just to make conversation and get to know us because her normal hours are 8 a.m. to 4 p.m. She calls my grandmother Ms. Margaret. Her real name is Marguerite but throughout my childhood, her friends called her Mag or Maggie. On official records, her name is Margaret because when she started school back in 1919, French was forbidden and Marguerite would have been part of that prohibition. Her name was changed to Margaret to conform to the no-French rule. Imagine! Both my maternal grandfather and my paternal grandmother did not learn English till they started school at six years old and the system - and the teachers - tried to stamp it out of them. The shame of that was that the next two generations of Acadiana French children were not allowed to speak their mother tongue at school and gradually it died out. (My grandparents’ generation still spoke it amongst themselves because it is hard to smother a child’s mother tongue.) I think my grandparents’ generation was the last to speak it fluently in Louisiana. I’ve been told that the public schools are teaching French again, but it is not the same. More's the pity. “Gram, can we borrow your steak knives? We want to have a knife throwing contest in the yard.” - “You know where they are.” I don’t even remember her saying, “just be careful.” But, in fairness, possibly she did. And we lit bonfires, with permission – we mostly did ask, to our credit - and took group bubble baths and climbed trees, higher than was ever safe. And once we even took off walking to my other grandmother’s house a few miles away. Why? Who the heck remembers? Unsupervised much? Blissfully so. While cooking in my grandmother’s kitchen this past weekend, I discovered a drawer full of her old cookbooks and asked if I might take them home to look through them more carefully. (Cousins reading this, please know that I WILL RETURN THEM.) You know that the woman who let us take her steak knives in the yard for a knife-throwing contest (which, by the way, ended up with a knife up in my foot and a tetanus shot for yours truly) did not tell me no. So I have a whole box of mostly cr*p cookbooks with the occasional gem in her handwriting, which is what I am looking for. I discovered this one before we even left her kitchen. Written on the front of a Steen Syrup giveaway pamphlet in my grandmother's handwriting. “Gram,” I said. “Is this your recipe for the fig preserves you always made?” “Yes,” she said. It couldn’t be more simple. It doesn't get any easier than this - just two ingredients - figs and sugar - in a two to one ratio, for a whole lot of wonderful. Rinse the fresh figs well and discard the rinsing water. If your figs have hard stems, cut them off and discard. Pour the sugar over the drained figs in a heavy-bottomed pot. Put it on a medium flame, covered. You don't need to add water as this gets really juicy fairly quickly but that is a good thing. Cook for a while, perhaps half an hour, stirring very gently occasionally. You do not want the figs to break up. Gram always had whole figs in her preserve jars and so should you. After about the first half hour, when all the sugar has dissolved, you can turn the heat up to medium high and take the lid off. Cook until the syrup reduces by at least half. Meanwhile, sterilize your jars/lids by pouring boiling water in them. Then put one metal teaspoon in each jar. This will keep the jars from breaking when you pour the boiling hot preserves in them. When I cooked this down, I got 2 whole pints of preserved figs out of 5 1/2 cups or 1 kilo of figs and 2 3/4 cups or 620g of sugar. Using a jam jar funnel, divide the figs and boiling syrup evenly between the jars. Screw the lids on very tightly, with a dry towel and set them upside down. As they cool, a vacuum seal will form and the preserves will be safe to eat for several weeks. We bought the fresh figs at the Farmers’ Market on Main Street in New Iberia because Gram’s tree was hit by lightening a number of years ago and her replacement trees (planted with cuttings from my other grandmother’s tree!) are not producing yet. I’ve decided that the best thing I could do was to pack them up nicely and mail them on to her to enjoy. When you are 98 and 1/2, people should be making fig preserves for you. Don’t you agree? This blog is primarily about food. Buying it, cooking it, eating it and sharing it with friends and family. It is also secondarily about living an expat life. Because being an expat is my life and colors everything I buy and cook and eat, and also with whom I share that food. I started this blog at the instigation of my daughters who probably thought Mommy needed something to do in her empty nest but the truth is that I have always cooked and I have always written, just not necessarily about cooking. For years I have ghost-written persuasive letters for friends, news articles for more than one PTA president, edited campaign speeches for one potential School Board candidate and once I even helped with a talk a dear friend gave in aid of the Malaysian Cancer Society about her triumphant battle with ovarian cancer. If I can wring a few tears (and possibly a donation) out of you, my work is done. 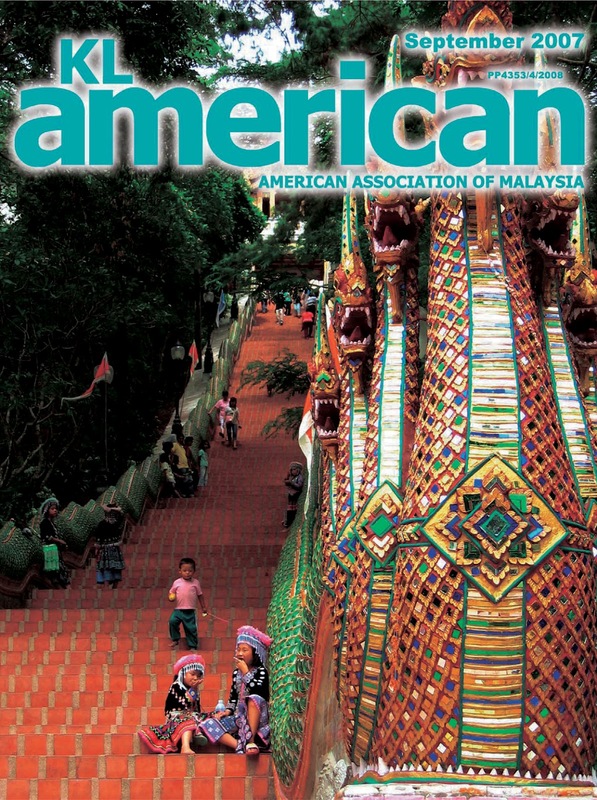 :) For several years I wrote a monthly “letter from the editor” in my role at the American Association of Malaysia’s magazine, the KL American. This gave me an opportunity to share a bit of myself and also direct members’ attention to the parts of the magazine I really wanted them to notice. 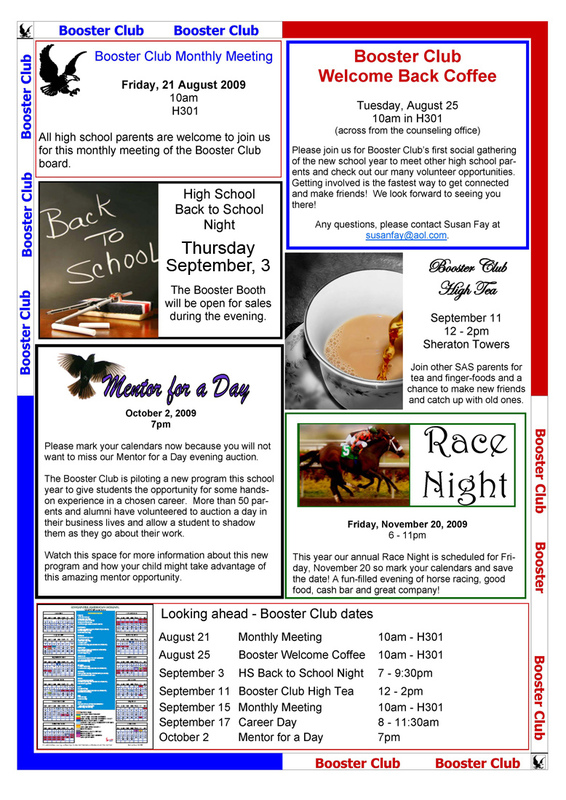 Even as part of the ISKL PTA executive committee for several years, and being in charge of SAS Booster Club publicity, I now realize that persuasive writing was at the heart of most projects because that is the way you get people to step up and help or respond to a need. And, of course, all this time, I was in the kitchen having the best time preparing meals and decorating fancy cakes (with the help of my friend, Gillian) or traveling the world and scoping out the markets and grocery stores. But my most important job – the only job that really matters - has been right here at home, as an expat, wherever that may be, encouraging my daughters to live their lives to the fullest and to grow from (and despite) the moves we make and the friends we leave behind and the challenges of new places. My elder daughter was with us for this Fathers’ Day weekend and when she headed back north to her internship/job for the summer, she left behind a surprise gift for me on my bedside table. I’d like to celebrate today with an unusual post - because today is the first anniversary of the first post on my blog, a birthday of sorts - by sharing that gift with you instead of a recipe. For all of you out there in expat land, wondering if you are helping or harming your children with this life, I will tell you only what Victoria responded when I asked her if we had done the right thing, “You did.” It doesn’t get simpler than that. And here is the proof and confirmation. The best gift ever. 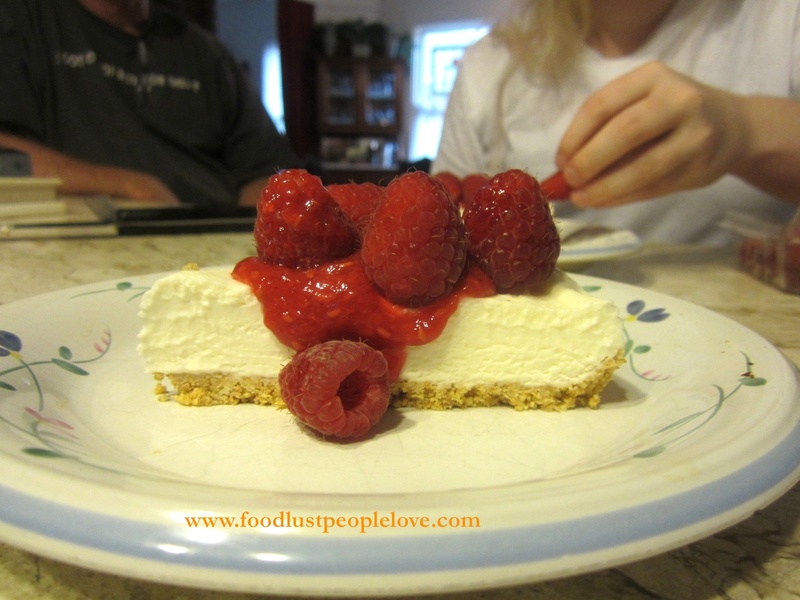 With this blog, my cooking and writing come together and my goal is two-fold: 1. To get you in the kitchen cooking, and 2. To connect with fellow expats and friends who share my experiences. Thank you, to all my friends, new and old, who have graciously allowed me in your lives with my blog posts, written me great comments, tried my recipes and spread the love. I am grateful. It’s been a great year.